6'5" (1.95m) 350 lb. 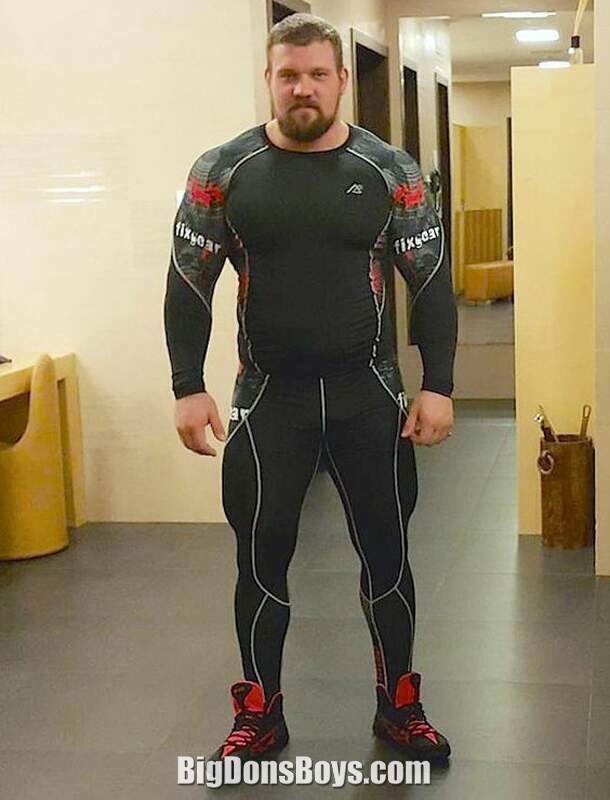 (160 kg) Kirill Sarychev might not be a familiar name in the English speaking world but this Russian strongman is also a strongman (in the leader sense) of the powerlifting world. He has started his own powerlifting federation WRPF. It has multiple categories such as amateurs without doping, amateurs with doping (the smart ones), and professionals. And he literally is probably the strongest man in the world. A main goal of power lifters is to be the strongest in the bench press exercise. Some lifters even wear special, incredibly tight and uncomfortable shirts that help support them and make the lift easier. 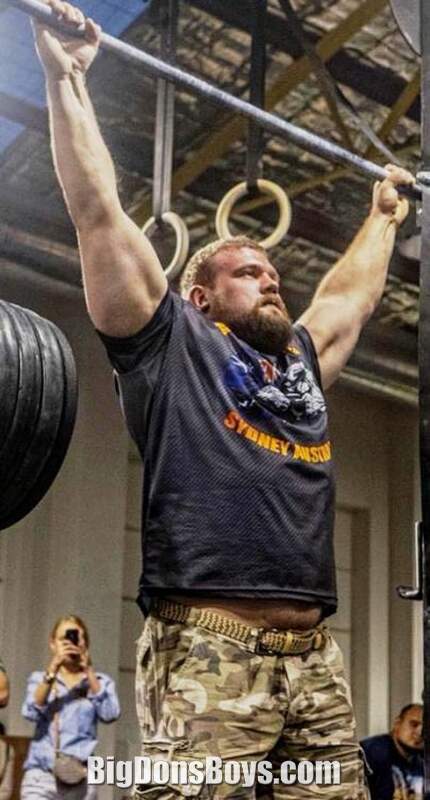 Kirill set the world bench press record in 2015 for 739 lbs. (335 kg) unshirted. This is a different kind of unshirted than he appears at left. Sigh. Why wear a shirt at all when you look like that? He has also won the world total raw world record for lifting an stupefying 2,386 lbs. (1082 kg). How can one man lift that much without ripping his tendons from his muscles? Amazing! Unfortunately he is not as good at self promotion as he is at weightlifting. He has no real web site or English Wikipedia page. 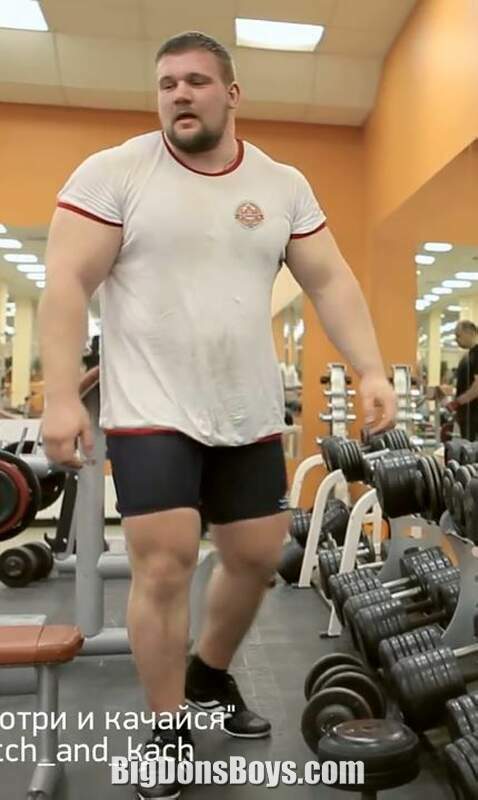 He often lifts with fellow Russian superman 6'3" (1.91m) 350 lb. 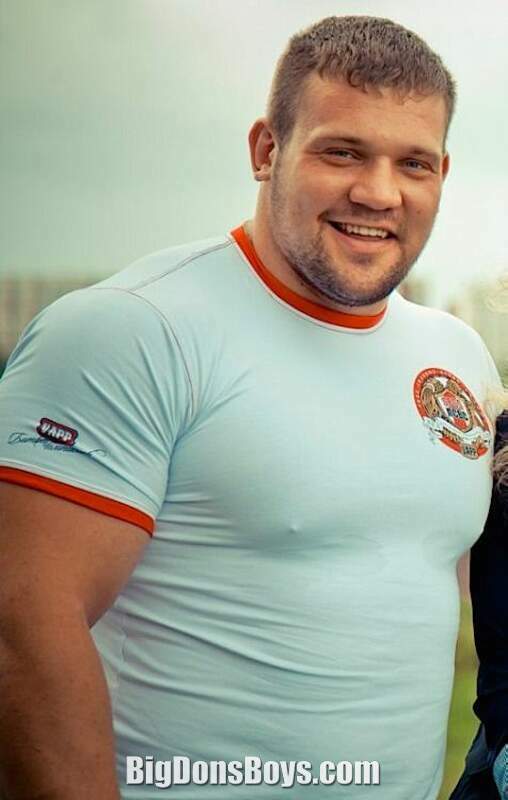 (160 kg) Mikhail Koklyaev. There are some great videos of him below though. Too many of his videos just showing him lifting weights. Rather ho hum. If you thought Vladimir Putin was the only Russian strongman, think again! See a world record set in Moscow in November, 2015. 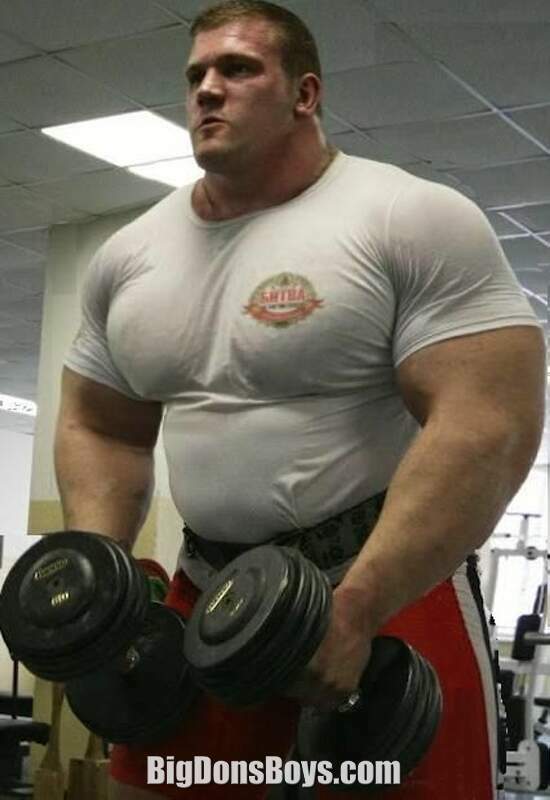 Nobody has ever bench pressed so much weight without wearing a special shirt to help them lift it. 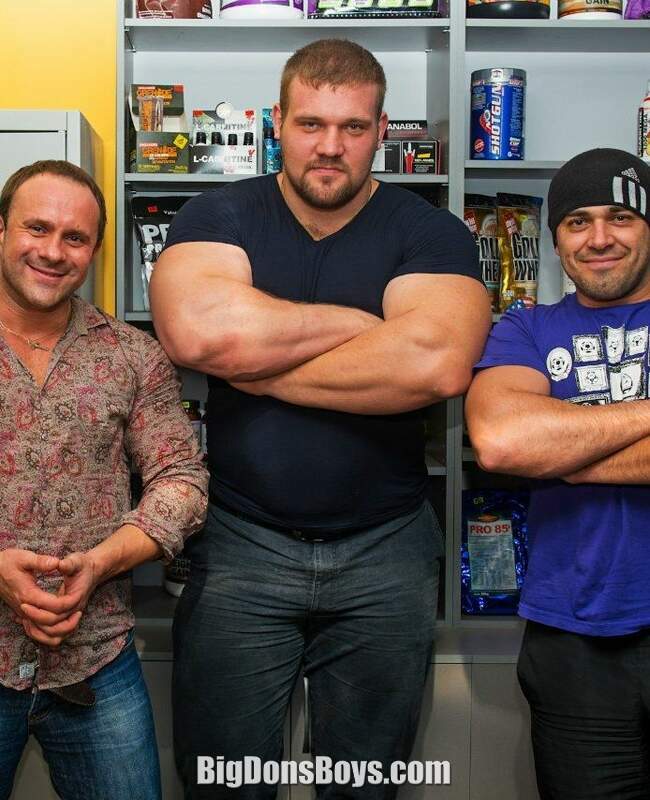 Kirill and his friends talk about stuff (in Russian) and then he lifts stuff, looking huge all the time! Mostly, they are wondering if his knees will burst and he will get injured doing all this insane stuff. 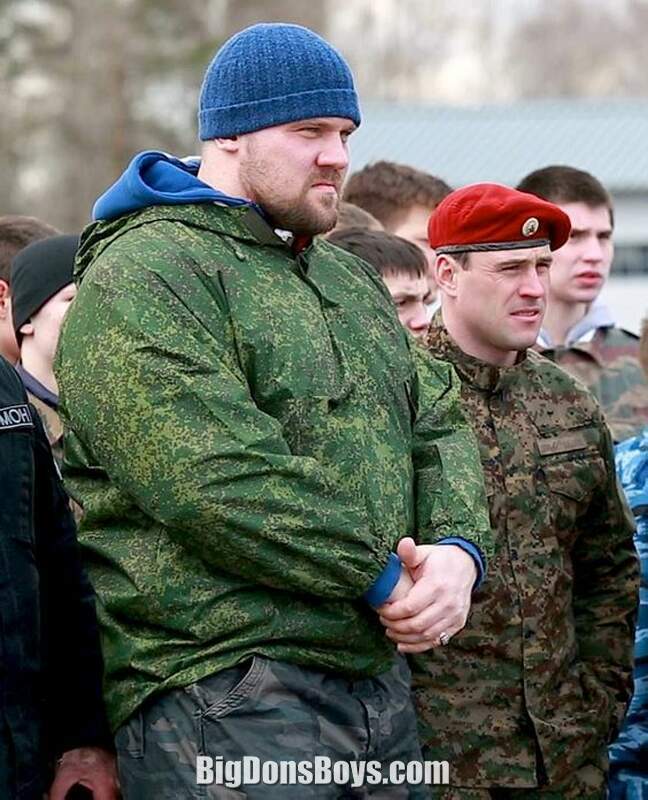 In this oddly framed video Russian strongman Kirill Sarychev's massive belly looks great as he lifts a gigantic amount of weight. Not only is his gut stronger than your whole body, it probably weighs more too! The amount of food a powerlifter like this must consume every day is staggering even if he is not working out that day. If only he would come to Los Angeles. Here he lifts 661 lbs. (300kg) as the gym public address system play's "Call Me" by Blondie from the movie "American Gigolo." He could probably make more money doing that than powerlifting!